LONDON — Britain’s defense equipment plan is at risk of becoming unaffordable, according to a parliamentary Public Accounts Committee investigation into the financial viability of the 10-year procurement program set up for the delivery of weapons and other systems to the military here. “We are very concerned that the Ministry of Defence’s equipment plan is at greater risk of becoming unaffordable than at any time since its inception in 2012. Maintaining affordability is now heavily reliant on a highly ambitious, but still under-developed, program of efficiency savings from within the plan and the wider defence budget,” the committee said. A significant fall in the value of the pound against the dollar, ongoing uncertainties surrounding the cost of new projects and continued cost control problems on some long-standing programs all contributed to the committee’s concerns over future equipment funding. Evidence submitted to the committee, or PAC, by the MoD showed the most likely cost of foreign exchange changes on purchases of the Lockheed Martin F-35 strike aircraft and Boeing P-8 maritime patrol aircraft would peak at £150 million (U.S. $192 million) in the 2020/21 financial year. The PAC's findings on the MoD's 10-year equipment plan, costed at £178 billion in 2016, endorses a critical National Audit Office report scrutinizing the procurement program released earlier this year. The affordability of the equipment plan, a process initiated in 2012, is annually reviewed by the cross-party PAC and the National Audit Office, the government spending watchdog. The committee said that while the MoD had transformed its financial management of large projects over the last five years, it worried that an increase in commitments of over £24 billion generated by the 2015 strategic defense and security review, or SDSR, had not been matched by an increase in funding. "This puts stability and the ability of the Department [the MoD] to deliver what our forces need to operate effectively at real risk," the committee said in its report released April 25. Some £10.7 billion set aside by the MoD to provide headroom to spend on equipment to meet emerging threats over the next 10 years has already been swallowed up to meet requirements stemming from the strategy review. Boeing P-8 maritime patrol aircraft and Apache helicopters. General Atomics Certifiable Predator UAVs. Two classes of new frigates. Four new BAE Systems-built Dreadnought-class nuclear missile submarines. A new class of supply ship. A clutch of new missiles. It's not just the PAC voicing concerns over the funding of defense here. One national newspaper reported recently that armed forces chiefs are being required to find cuts of £10 billion over the next decade over and above already mandated efficiency savings to balance the defense budget. That's a figure some industry executives here reckon might be just the tip of the iceberg and increasing pressure for the next government to further raise defense budgets. While the Conservative government has committed to additional funding for the military above the rate of inflation during the next few years, much of the equipment funding will be generated by efficiency savings from within the MoD itself — most of that from within the procurement plan. In 2015, the MoD signed up to £7.3 billion of efficiency savings, which the Treasury said could be ploughed back into equipment and other defense investments. The PAC has raised concerns over how and when the MoD will achieve the targets, particularly as the department has not yet achieved earlier efficiency goals. "While over a year has passed since the publication of the 2015 SDSR, the MoD has not yet identified how all the required savings will be achieved calling into question the affordability of the [equipment] plan and whether all current commitments can be met. This risk is exacerbated by the fact that the Department has yet to realise £2.5 billion of savings brought forward from last year's plan," the committee said. The PAC also flagged the post-Brexit collapse in the value of the pound against the dollar as having the potential to further derail the equipment plan. "The pound is currently trading at more than 30 cents below the exchange rate used by the Department in its cost estimates for the 2016 Plan ($1.55 to the pound). The plan contains expenditure of $28.8 billion over the next 10 years. While the MoD has partly mitigated the risk of currency fluctuations by entering into forward purchase contracts, these will expire in the 2018-19 financial year. Consequently, if current exchange rates persist, the cost of the Plan will increase by approximately £5 billion," the PAC said. The pound has strengthened since the PAC report was printed: £1 equals $1.28. The PAC added that the MoD and the Treasury need to work out who is going to make up the difference in funds if the pound remains weak. "The MoD and the Treasury have not yet decided whether such additional costs would be met by the Treasury, or whether some projects would have to be curtailed to accommodate the increased costs." The other option would be to continue hedging . But as the PAC pointed out, a recovery in the exchange rate could potentially see the MoD lose substantial amounts of cash. 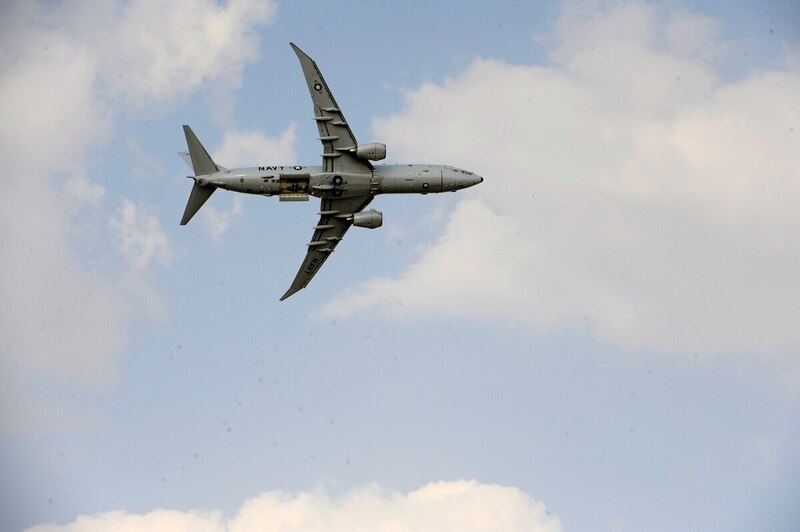 The MoD said in evidence to the committee that discussions about which route to take were underway with the Treasury, driven by two projects that were particularly vulnerable to exchange rate fluctuations — the P-8 and F-35. Written evidence submitted to the PAC by the MoD earlier this year estimated that based on the most likely foreign exchange rates, a weakened pound would add more than £50 million in the 2018/19 financial year, double that the following year and peaking at about £150 million in 2020/2021.